Are you ready for a bone-shaking good time, all for a great local cause? 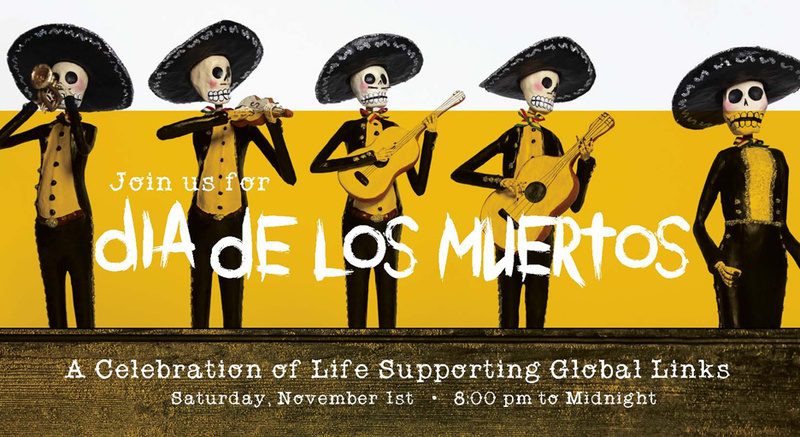 The cervezas, costumes and candles will flow at Global Links’ Dia de los Muertos celebration on Saturday, November 1st. Transforming its Green Tree facility into a celebratory “bone-shaking lounge,” Global Links invites Pittsburghers to help mark its 25th anniversary with a lively party featuring the special traditions and rituals of Dia de los Muertos (Day of the Dead), the joyous holiday that is celebrated in countries throughout Latin America and the Caribbean at the end of October and the beginning of November each year. Recognizing Global Links‘ significant work promoting environmental stewardship and improving health in resource-poor communities, primarily in Latin America and the Caribbean, the benefit bash will honor the holiday–which focuses on gatherings of family and friends–with a lively evening of food, cocktails, art and entertainment. In Mexico, November 1st brings a vibrant day of celebration and remembrance in honor of departed loved ones, and Global Links will create the perfect environs for doing so. Join in the Dia de los Muertos traditions by decorating a sugar skull with La Escuelita Arcoiris, and adding a photo of your departed loved ones to the Global Links ofrenda (ritual altar) honoring and celebrating those who have come before us. Dull threads are a no-no for this benefit bash, so arrive in style donning your an extravagant costume or be sure to dress in the signature Dia de los Muertos colors of orange, red, white, yellow, purple or pink. Nosh on delicious Latin American cuisine created by local chefs from La Palapas, Edgar’s famous tacos, Gabriela’s Catering, Cinco de Mayo, Mad Mex and Allegro Hearth. Wash it all down with some refreshing cervezas, buena vino and even some spiked punch poured through an icy skull. What does the future hold for you? Sit for an astrology reading with Judi Vitale to find out! Next, get acquainted with Robin the Hoodeda Vulture, if you dare, as you meet a scavenging bird of prey from the National Aviary. Roll your sleeves up and silk screen your own Dia de los Muertos t-shirt or scarf, and then create a festive keepsake in the Selfie Studios photo booth. In between Day of the Dead activities, hit the dance floor and groove to an all-vinyl soundtrack from DJ Wayne Smith. 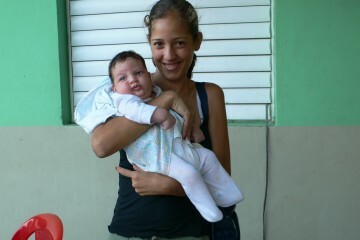 A medical relief and development organization dedicated to promoting environmental stewardship and improving health in resource-poor communities, primarily in Latin America and the Caribbean, Global Links provides hospitals with a socially and environmentally beneficial alternative to sending hundreds of tons of still-useful surplus materials to landfills. Global Links’ innovative model of recovery and reuse has created a “virtuous circle” that converts an environmental burden into a life-saving purpose.